Police Bureau of Investigation (PBI) has claimed to have solved a ‘clueless’ murder of 2015 and arrested two suspects in this regard, reports The Daily Star. 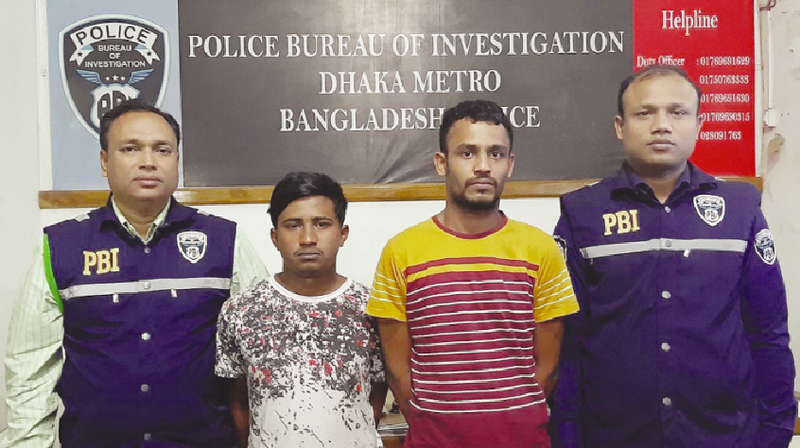 The arrestees are Sajal alias Pichchi Sajal, 22, and Md Hossain Babu alias Hunda Babu, 25, according to a press release published by the bureau. According to the case statement, Russel, 22, a farmer who came to Dhaka in search of work, was stabbed to death back in September 29, 2015. The murder said to have been ended without a clue or trace of the killers, hence the bizarre description of the case.